I just love your drawings there the best part of my email box each day! Why do you always touch my heart? I love this one! Can I purchase this one as a postcard? Wonderful artwork and how veracious the message is. Your drawings are amazing! Quirky and lovely! Thanks very much! Loved your adorable owl card!! 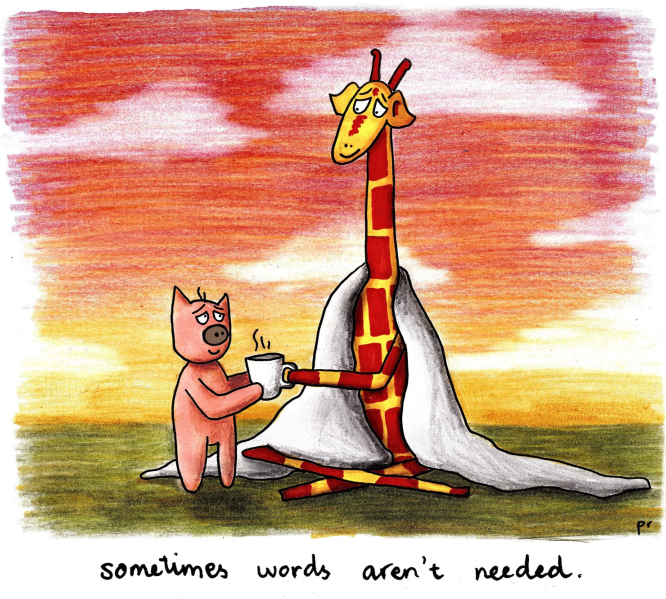 I love your drawings and sayings for these adorable giraffes!